Pre-heat oven to 170°C. Line a lamington tin with baking paper. 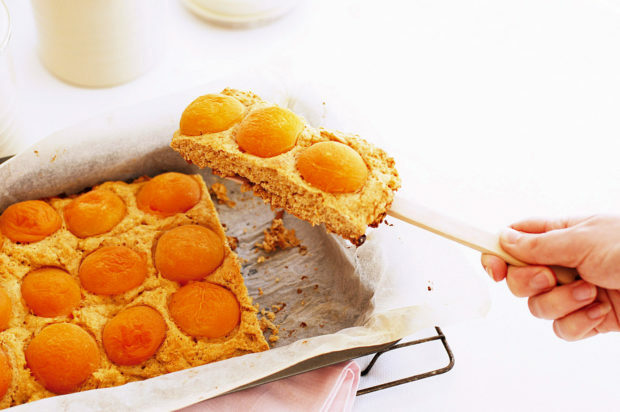 Place the Weet-Bix Fruity Apricot™ on the baking paper to make a base. Place margarine and sugar in a bowl and beat until light and fluffy. Add egg and beat well. Gently fold in flour and So Good™ Milk alternately. Spoon half onto base then top with custard then remaining cake mix. Bake for 25 minutes or until cooked. © Recipe and image kindly provided by Sanitarium Health & Wellbeing Company. For more Sanitarium recipes please go to: www.sanitarium.com.au/recipes.